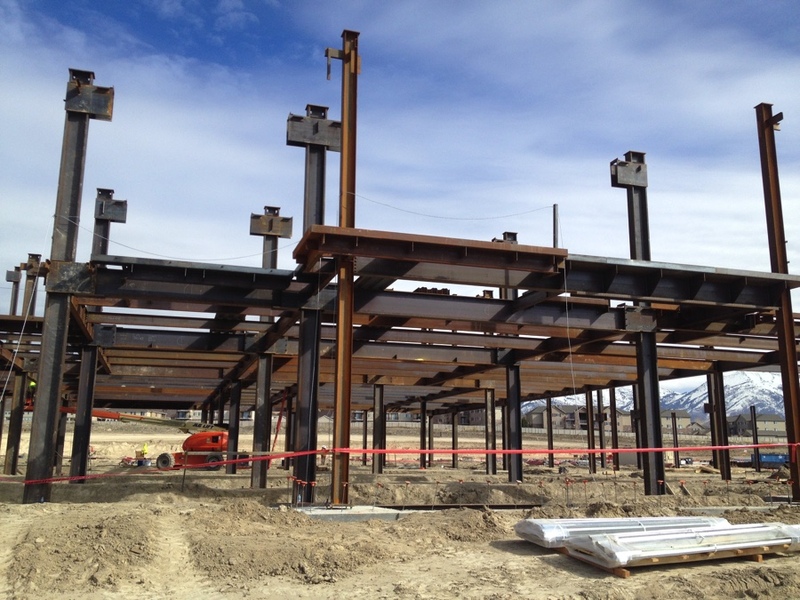 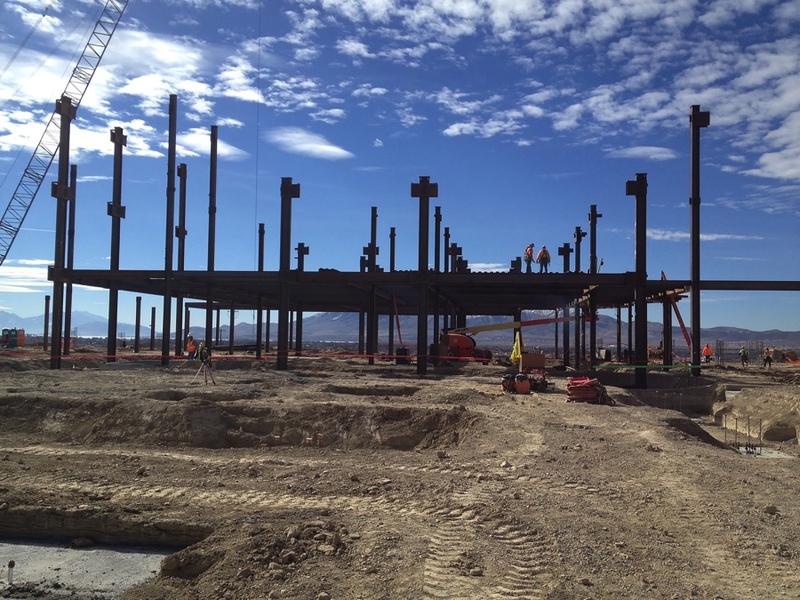 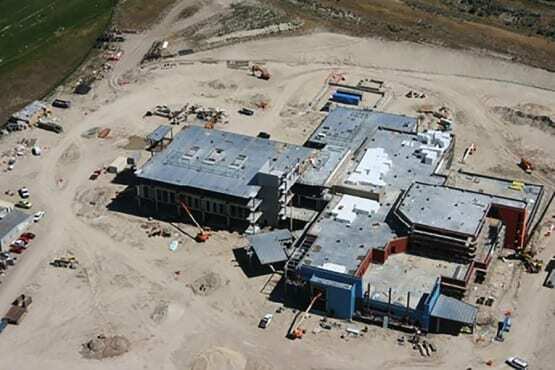 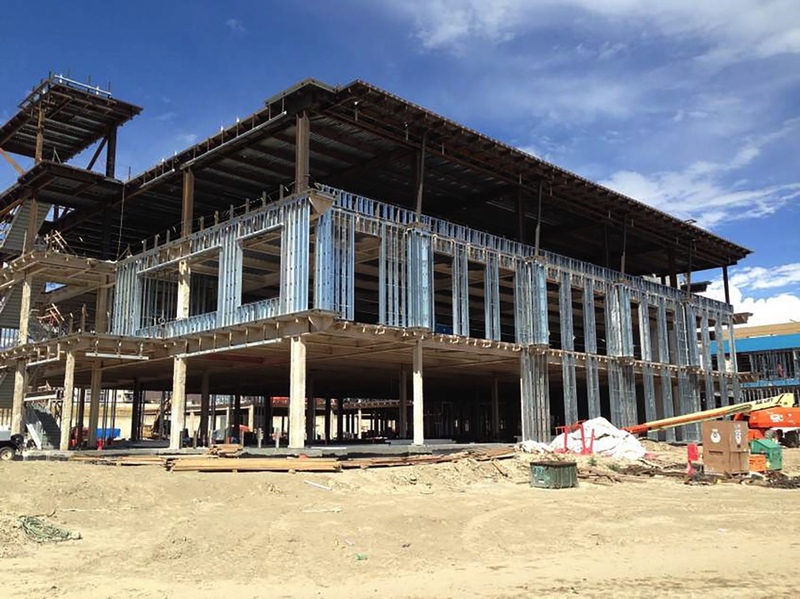 Mountain Point Medical Center - SURE STEEL, INC. 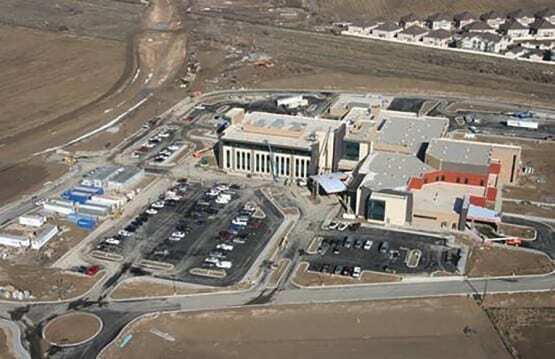 Strategically placed on the benches of Lehi, UT, this uniquely designed 193,958 SqFt medical center is a welcomed addition by the residence of Utah County. The Mountain Point Medical Center project consisted of two separate buildings; the Medical Center Hospital and the Professional Office Building. Sure Steel, Inc. was contracted by Layton Construction to provide all the labor and equipment to erect the structural steel for both buildings. A component that this project implemented was the unique seismic system utilized in the design. SidePlate® system, a seismic bracing design system, required many fillet weld connections to accommodate the SidePlate® components. Through our skills and abilities, Sure Steel, Inc. was able to face the unique situation head on. 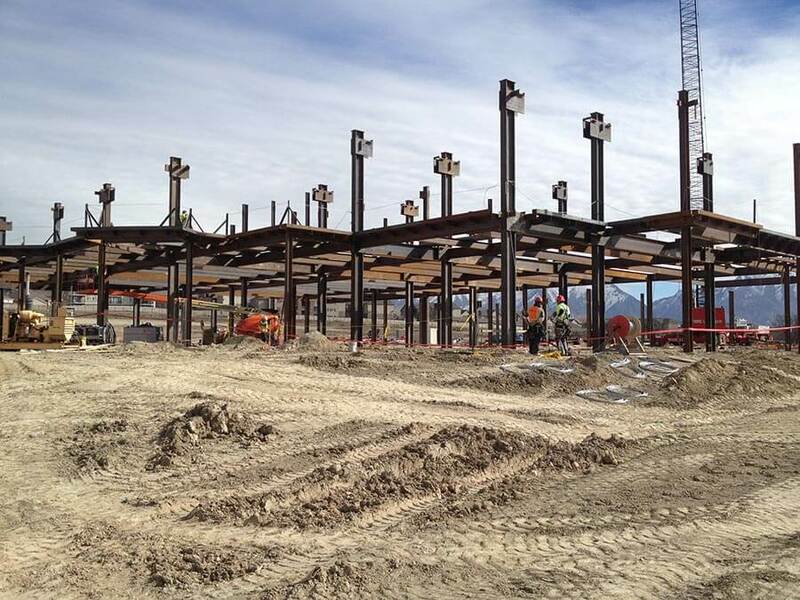 In just over 4 months, Sure Steel, Inc. was able to erect approximately 2,050 tons of structural steel, meeting the General Contractors tight schedule.